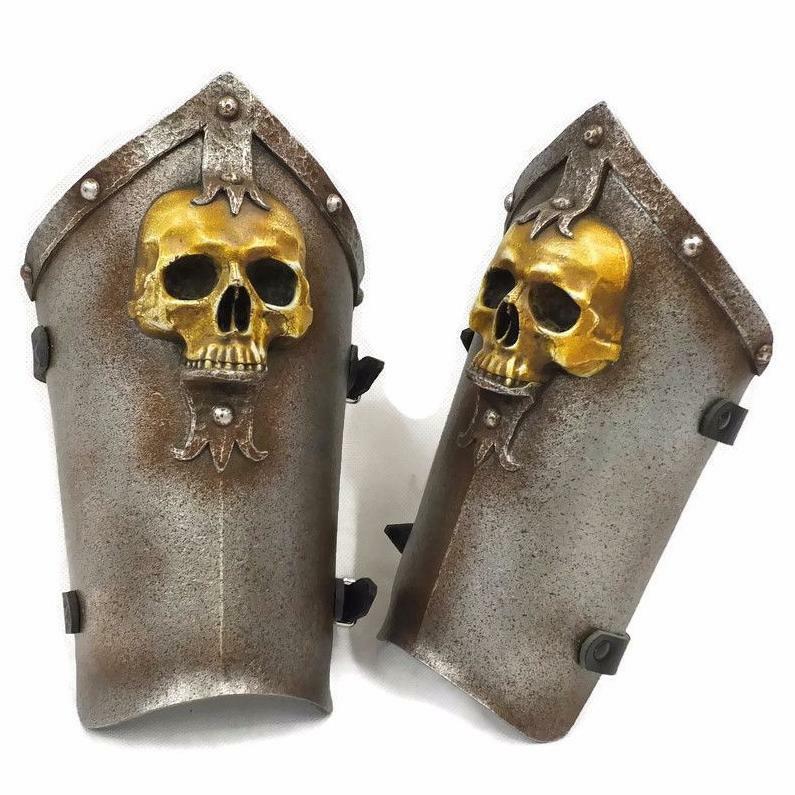 Larp armour set with skull and riveted metal plate design. 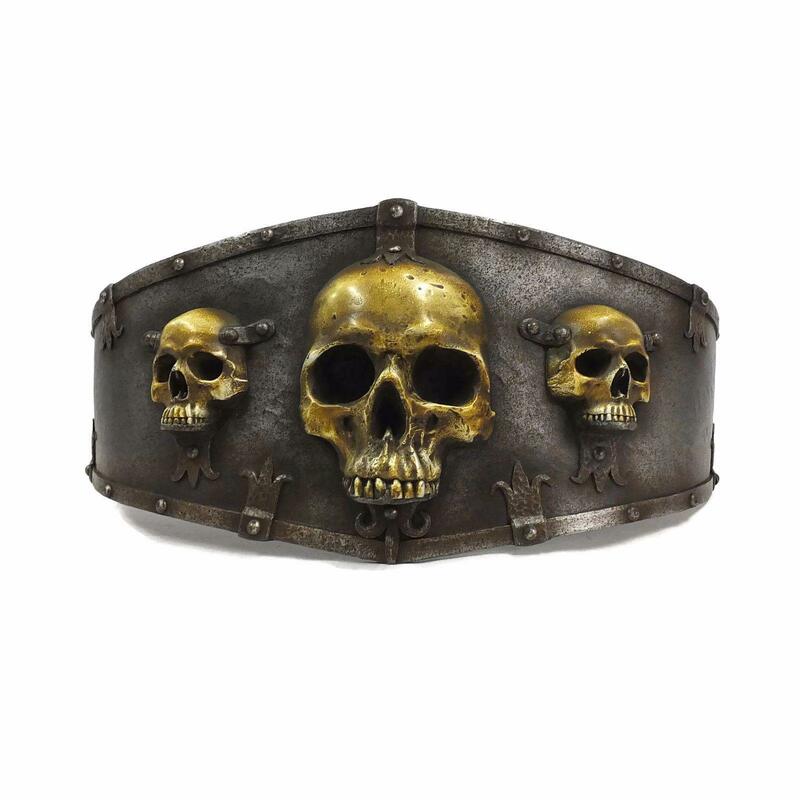 Set comprises: pair of Ominous Spaudlers,pair of Ominous Bracers and wide Ominous skull belt. 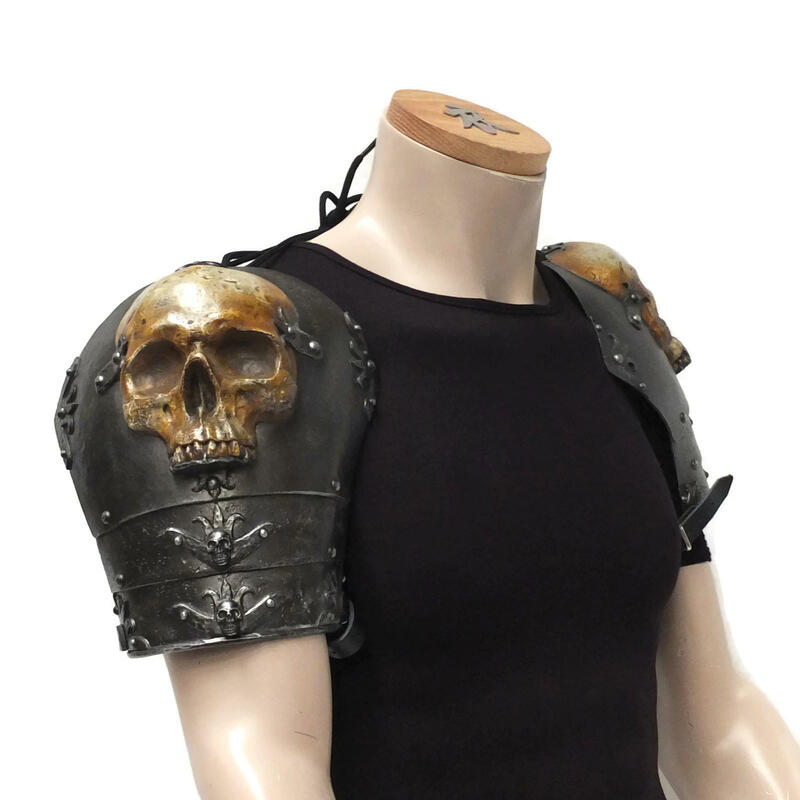 All items are also available separately. The belt is available in several sizes and is made from our more flexible PU material for added comfort. 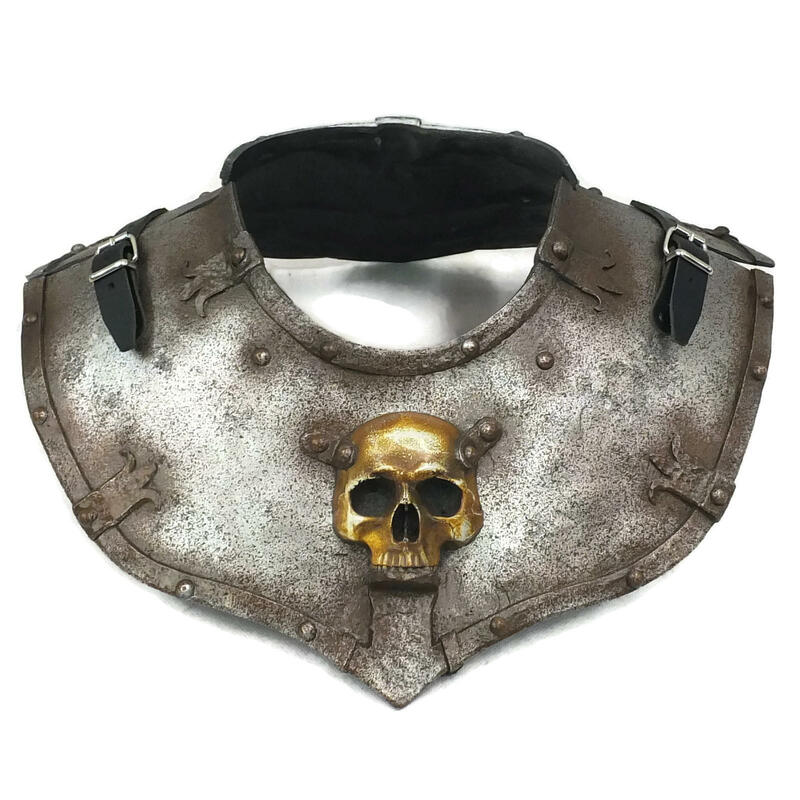 All parts come with leather straps and the shoulders have lacing at the top.